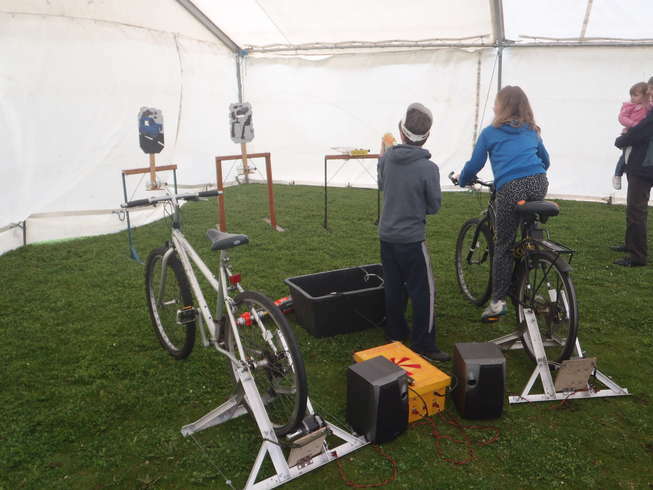 With summer here and sun every so often shining through, we have recently been involved with loads of pedal powered activities. 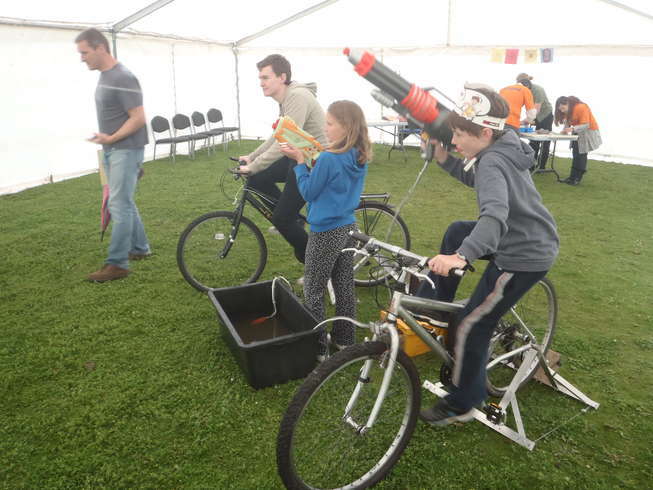 One recent event was pedal powered water cannons which was run as part of the Celebrate Cycling event at Nottingham University Jubilee Campus which was part of a larger programme of events celebrating 125 years of Raleigh Bicycles. 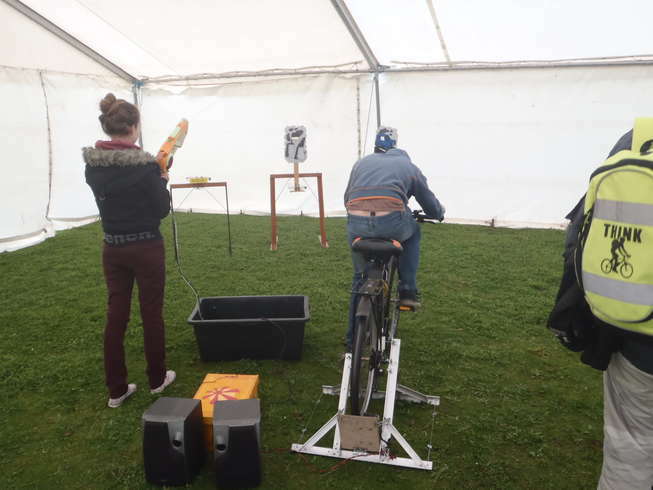 We set up two pedal powered water pistols which were used to know down environmentally themed targets, such as a coal fired power station or a fat-cat banker. At the same time a sound system kept energy levels up. 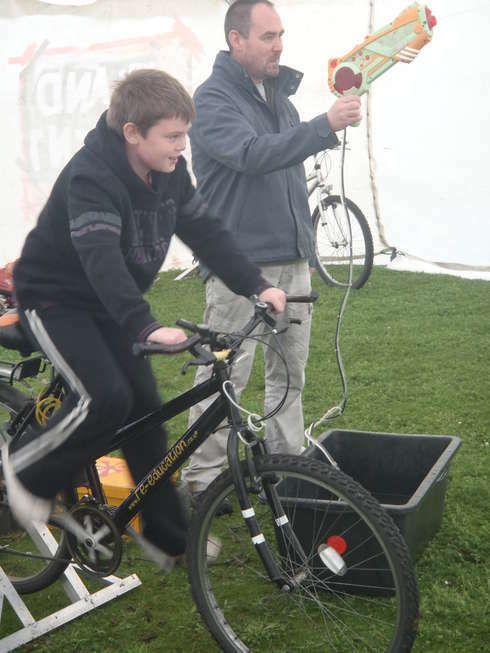 We also rigged up a children’s bike with a bubble machine for the smaller children. While the weather was not so kind to us, the water cannons were in constant use throughout the day. 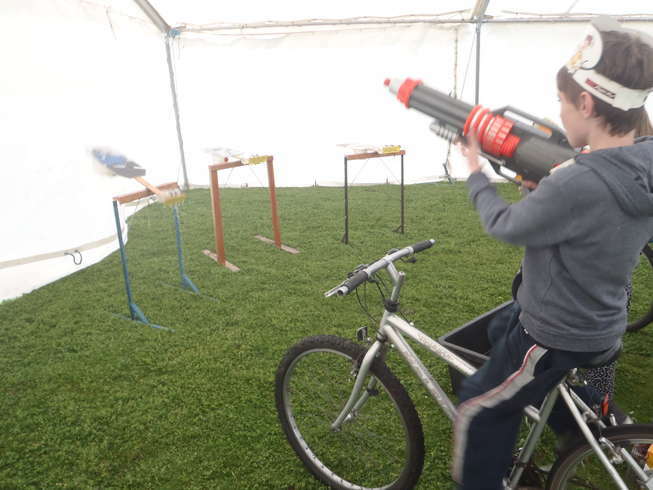 If you are interested in any of our pedal powered activities, or think we could help at your event, then please get in touch. Renewable energy innovation has an active program of renewable energy promotion. We have a number of pedal generators and solar PV system which can be used to interactively engage the public, helping to explain the concepts of power and energy and promote renewable energy sources and energy efficiency. We created our pedal powered water cannons to do exactly that. 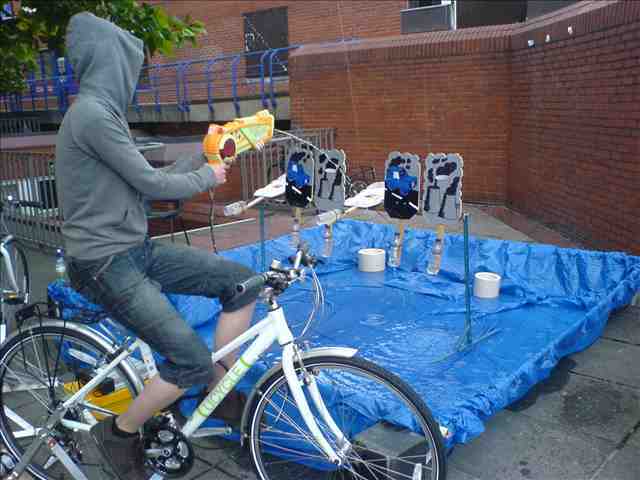 Use water cannons to knock down environmentally themed targets with an upbeat soul soundtrack – all powered by human pedal power. 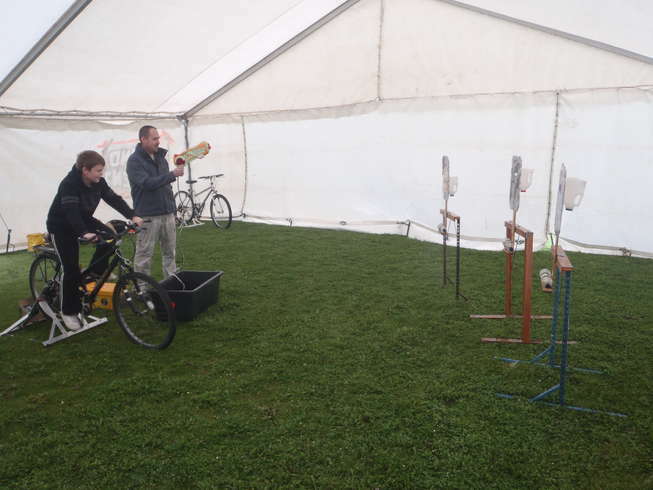 We were asked to exhibit at Nottingham Carnival of Cycling, a Sustrans event to promote cycling in all its forms. 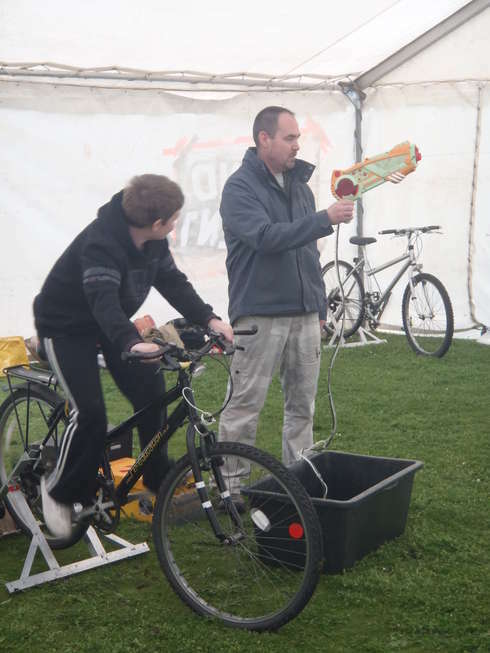 Loads of activities and demonstrations were provided and we promoted pedal power alongside Junk4Funk, who helped keep the beat with recycled musical instruments.